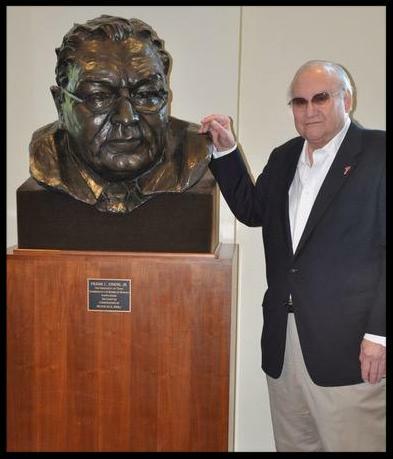 At the center of the Kappa Sigma Residence Hall’s grand room stands a bronze bust of former UT System Board of Regents Chairman Frank C. Erwin, Jr. ’38, a co-founder of the Texas Kappa Sigma Educational Foundation. The bust, an imposing 6’ 7” in height, was commissioned by Tau alumnus Nick Kralj ’62, who presented it as a gift to the University of Texas in 1985 to be exhibited in the Frank Erwin Center, where it has remained until its move to the new Residence Hall. 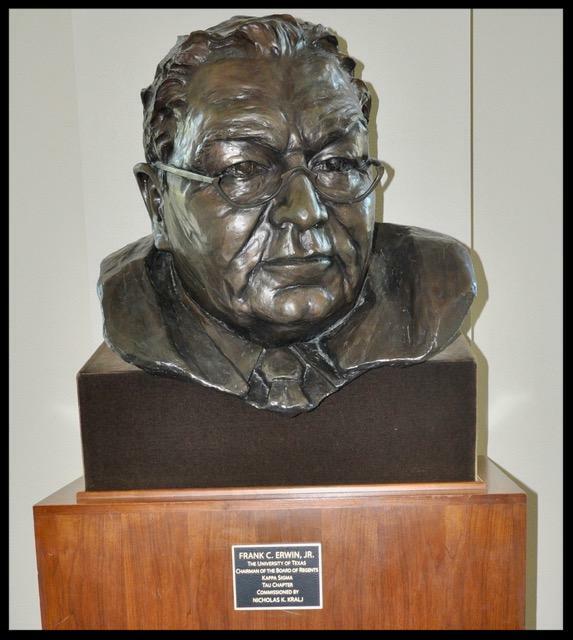 Denton Cooley MD ’38, just months before his death, was instrumental in helping Mr. Kralj and Hagen McMahon ‘66 get approval from the University to have the bust moved from the Erwin Center to the Kappa Sigma Residence Hall, now to be its permanent home. Those who are aware of the influence Frank Erwin wielded in helping make UT the world class university it is today and his leadership in helping make Kappa Sigma one of the most prestigious fraternities at UT will appreciate the significance of having his likeness displayed in the new Residence Hall. It is a fitting tribute to a man who himself was larger than life. 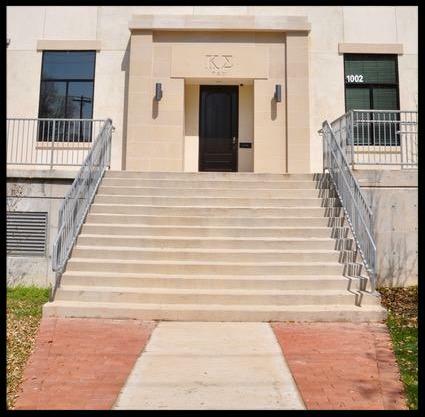 Let’s continue the Tau legacy that great men such as Frank Erwin and Denton Cooley MD helped create by supporting the Tau Legacy Capital Campaign.  There are still several rooms available for naming opportunities that you might consider, but donations at every level are needed to pay off the building loan. Now you have the opportunity to buy a personalized legacy paver displaying your own name or the name of someone you choose to honor. Your personalized paver will be permanently displayed in the walkways leading up to the entrance of the Residence and the Lodge. 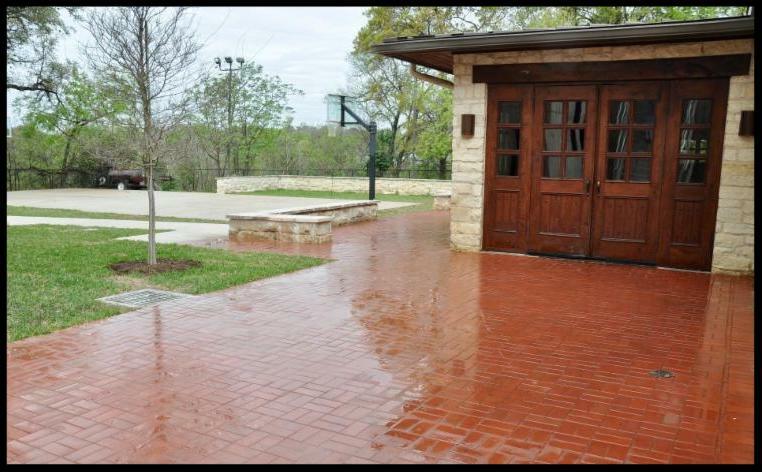 Click here to purchase your paver in one of three sizes.